...and we've been doing both for more than thirty years! We specialize in heavy lifter drones carrying from DSLR to Red/Alexa. Full HD downlink for camera op, director and AC (follow focus), or for live on-air feeds. Highly experienced flight crew with television and motion picture credentials. Prior to working with multirotor UAV’s we had over 30 years’ experience installing, certifying and flying Tyler, FLIR and Cineflex mounts on full size helicopters. If you need full size, we can help! We also provide stabilized camera gimbals and operators for ground shots, with remote control and HD transmission for the operator and director. It’s not just that the FAA requires a licensed pilot at the controls of our UAV’s, aviation is a passion for us. We bring the same strict discipline to our UAV services. Flying Cross is proud to offer our newest lifter, designed specifically to provide high quality live HD transmission in a highly portable platform. 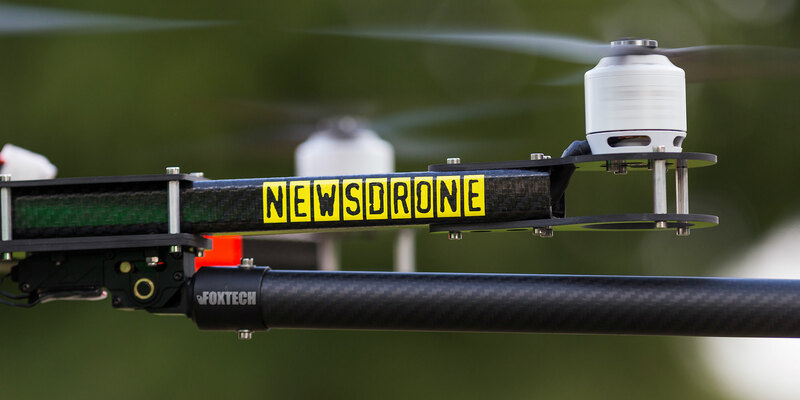 This custom designed Hexacrafter 900mm copter delivers a reliable zero latency HD feed in broadcast standards 720/59.94p and 1080/59.94i. 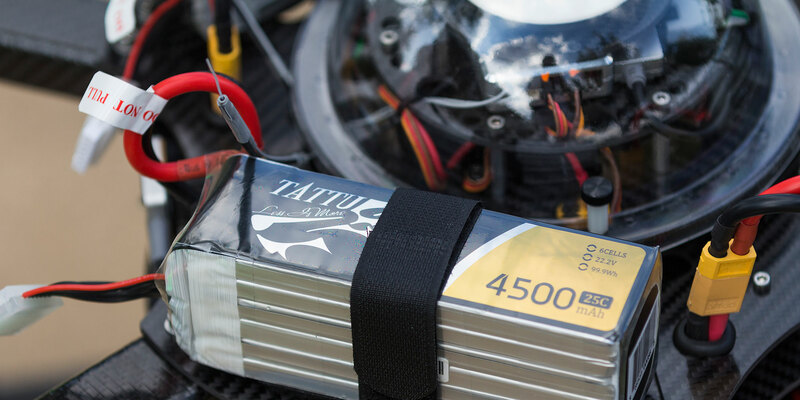 The 6 motors are uniquely powered by (3) 4500mah batteries, which are able to be brought as airline carry-on. That means we can deploy rapidly to any location without waiting to ship batteries. And flight times exceed 15minutes while maintaining motor loss redundancy. Plus, with a weatherproof canopy the critical flight control components are protected from rain. Other off the shelf systems don’t compare! With over 20 years’ experience in live broadcast news and sports, our teams are expert in working in this demanding field. Please give us a call to discuss your project. 512-655-9974 or visit the Contact page.